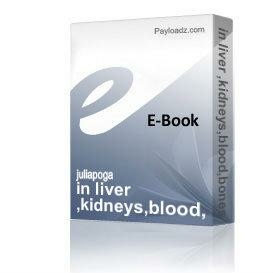 in liver ,kidneys,blood,bones withlups cooking 2 healthy dishes. Buy and Download > Description Cook in gastrointestinal problems,nephritis,pyelonephritis,bronchitis,asthma,bronchoectasis,tuberculosis anemias. In hepatitis,chronic cholecystitis,pancreatitis,nephritis,osteoporosis,hypertension,aterosclerosis. Cook in gastrointestinal problems,nephritis,pyelonephritis,bronchitis,asthma,bronchoectasis,tuberculosis anemias. In hepatitis,chronic cholecystitis,pancreatitis,nephritis,osteoporosis,hypertension,aterosclerosis.